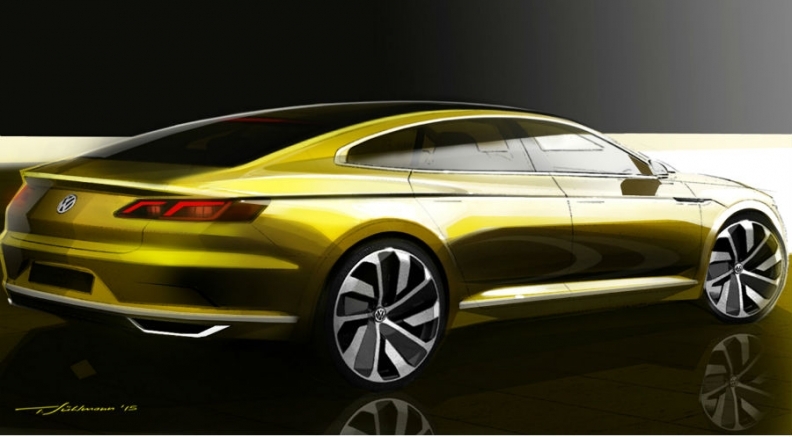 VW released sketches of a four-door car with fastback styling. FRANKFURT -- Volkswagen will preview a coupe-styled sedan at the upcoming Geneva auto show that is set to become a production model to boost the brand's image and attract customers from cars such as the Mercedes-Benz CLS. VW this week released sketches of the sleek four-door concept but gave no further details ahead of the concept's unveiling in Geneva on Monday at a VW press event. 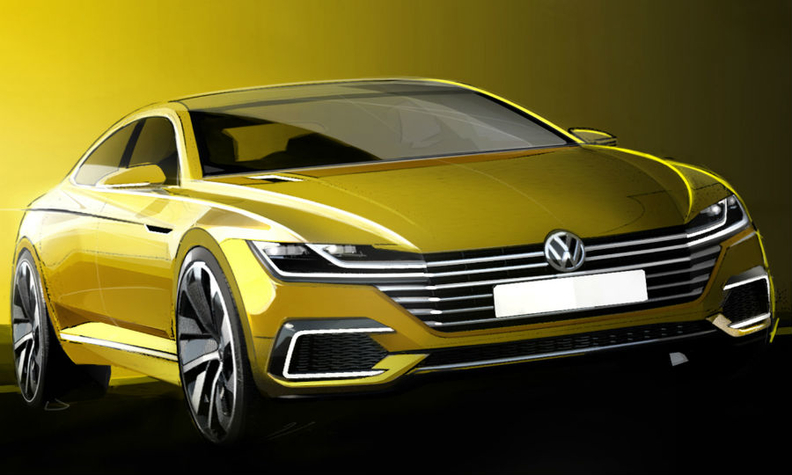 VW insiders say the concept will very likely become a production model that would be positioned above the current CC coupe-styled, four-door sedan. The car would fill a gap in VW's lineup between the midsize Passat and the brand's Phaeton flagship. More than a decade ago, VW tried to close the gap through a technical partnership to use the Maserati Quattroporte's rear-wheel-drive platform, but the project never made it past the initial statement of intent. VW again attempted to address the gap by launching the upscale Passat CC in 2008. The model later dropped the Passat in its name to differentiate it more strongly from the standard Passat, which starts at 26,075 euros ($29,300) in Germany. The CC costs 33,700 euros. A production model based on the Geneva concept would start at about 50,000 euros, 22,000 euros below the German price of the Phaeton. Company insiders said an upscale coupe-styled sedan sitting above the Passat would help VW to be viewed as an "innovative volume brand." The Geneva concept is based on VW’s MQB modular architecture and has a plug-in hybrid powertrain.